The undercutter pictured has been specially designed and made for undercutting turnouts and crossings. It’s blade, which works in a simular way to a chainsaw, measures 4.5 metres in length so that access is only require from one side of the track. 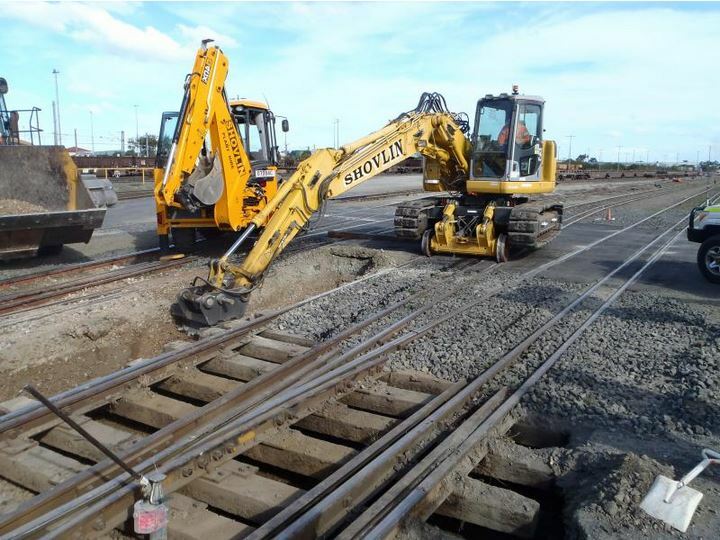 As all of Shovlin Plant’s hi-rails have slew limiting devices fitted, this allows the adjacent line to remain open during the undercutting process. The picture shows the undercutter fitted to a Komatsu hi-rail that undercut 2 full turnouts and half of another turnout in 2 shifts.